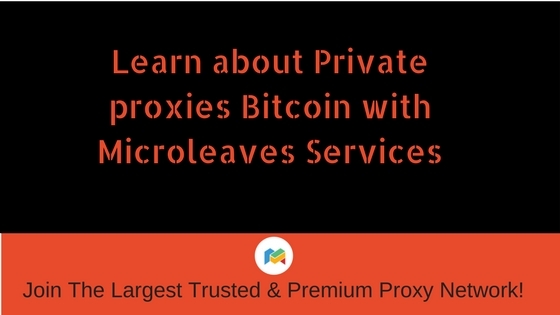 The Drawbacks of Cheap Private Proxies - Microleaves | Proxy Services! Many of the internet users buy private proxies for securing their connections. But there are certain drawbacks of using the cheap private proxies. There exist a number of concerns. The most common among these concerns are the privacy and connectivity of the proxies. This calls for extreme caution and vigilance during selection of products. Users need to view product details and review of customers. This can help in minimizing the number of threats and issues. What are cheap private proxies? Cheap private proxies are the proxy packages available at low costs. The low costs has raised many eyebrows. Security is the major motivation of buying proxies. Proxies enable users in covering tracks on the internet and having an untraceable identity. The private proxies are highly efficient in carrying out these tasks. There is a lot for the users to look forward to. Privacy and high security of the IP address are among the best things about private proxies. The cheap private proxies are reliable to some extent. However, one has to be careful when buying proxies. There can be issues and drawbacks. The aim of private proxies is to ensure that your IP remains undetectable. Private proxies help in maintaining a truly private connection. There is one user per proxy and tracing the IP is not possible. Hackers will not be able to extract any information. The cheap rates are a cause of concern as the privacy of the network comes under question. Cheap private proxies are a great cause of concern. Some of the concerns include the privacy of the connection and the speed of browsing. There are certain proxy providers that provide same IPs to different users. Hence, there is a lower rate of their proxy packages. Moreover, the privacy of the user information also comes under question. Breaches in the data are also related to the cheap private proxies. These concerns together make up the reason behind avoiding cheap private proxies. The desire of buying private proxies shows that users are looking for a private and secure connection. In those cases where the private proxies slow down the internet, users face more issues than advantages. Hence, one has to be careful and vigilant. Buying from the wrong sources can lead to great losses. In turn of the cheap private proxies, one may lose their connectivity and internet speed. Therefore, only the trusted proxy providers should be approached. 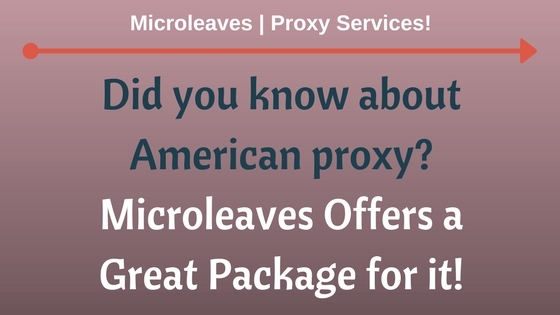 The Microleaves private proxies are reliable and secure. Users have their own private connections and secure networks. 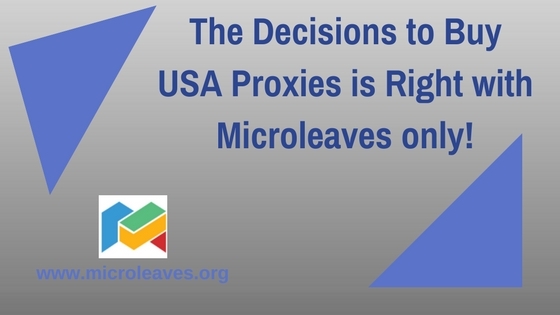 Once they choose the Microleaves private proxies, the issues of privacy are laid to rest. Not only do the users enjoy privacy, but their internet speed also remains the same. There is no issue of connectivity and the hackers are kept at bay. These are among the most primary reasons for buying private proxies. 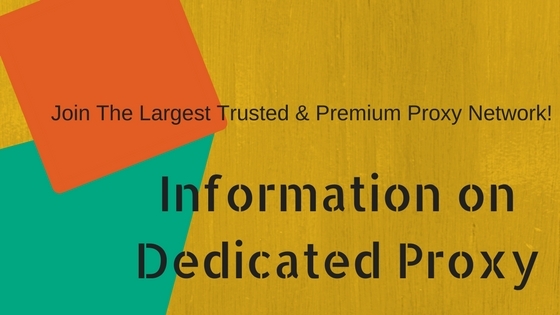 The variety of packages and detailed explanation about the proxies enable buyers to choose better. 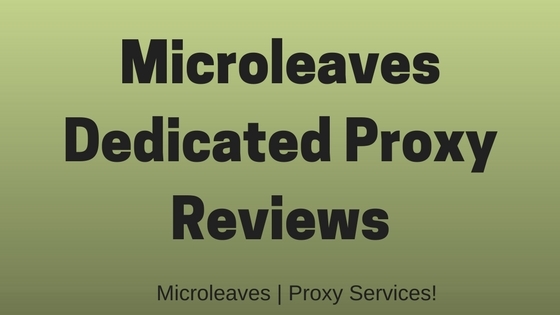 Even the cheap private proxies of Microleaves are highly reliable. Users vouch for the reliability of the connection. Moreover, the sales of the private proxies are also quite high. This possibly points towards the security and reliability. In a nutshell, there are questions and concerns about cheap private proxies. The issues of being hoodwinked into buying something unreliable are quite real. Many of the cheap private proxies are not even truly private. They are shared among the different users. Therefore, it is important to be sure about the sellers before buying their proxies. The reviews of the previous buyers can be a great help. One should buy private proxies from reliable companies. Microleaves is one such reliable company.